Mother of Pearl earrings, bracelet, necklace and close-up of necklace. 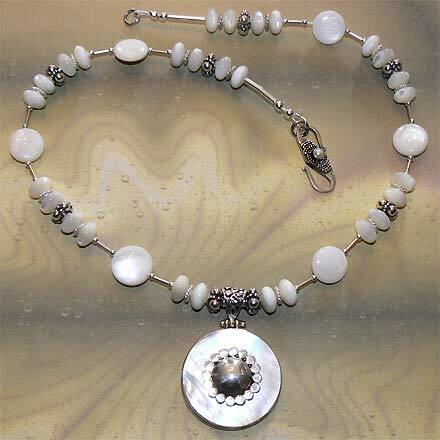 Sterling Silver Mother of Pearl Necklace. 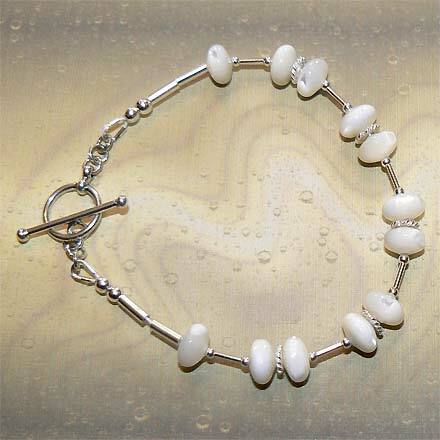 Sterling Silver Mother of Pearl Bracelet. 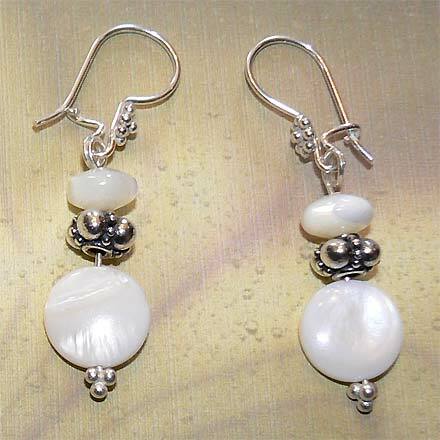 Sterling Silver Mother of Pearl Earrings. This is a very beautiful set for those who like white, but with just enough sheen and pearliness to add interest. 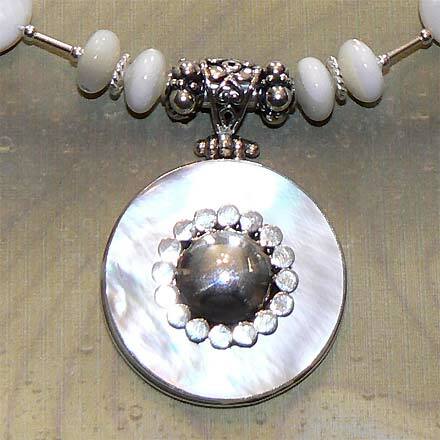 The Balinese pendant is beautiful, with a Silver dome in the center of a Mother of Pearl circle. Necklace comes with a pearl clasp. For those who are interested in Astrological significances of stones, Pearl is associated with Gemini and Cancer and the month of June.